Broadway Place is a mixed-use project consisting of 170 apartment units and 13,800 square feet of ground level commercial space, located in Eugene, Oregon. 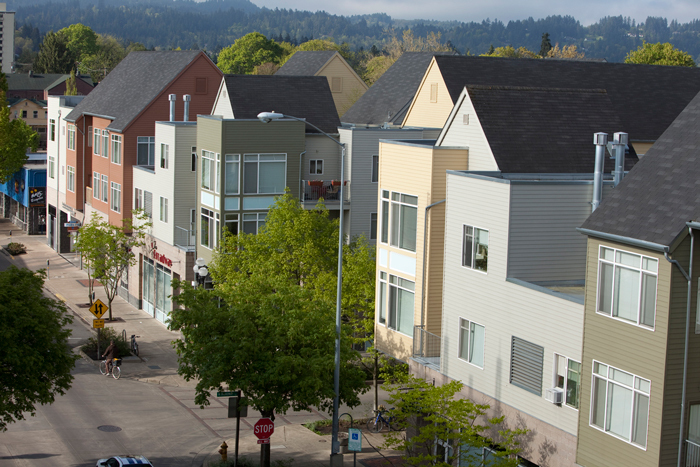 The property was developed in 1999 by Lorig Associates, and encompasses two half city blocks in the heart of Eugene’s downtown commercial hub, surrounded by fine res­taurants, shopping, entertainment venues, fitness clubs, and the new $20 million public library. The project is ideally situated less than two miles from The University of Oregon and benefits from a stable rental market and the school’s current record-breaking enrollment levels.